A member of the hijra and Dalit communities in India, Madhu Bai Kinnar became mayor of Raigarh, Chhatisgarh in 2015. Previously known as Naresh Chauhan, Madhu left home to join the “third gender” community when just a teenager. She took up odd jobs and performed on the streets and trains to earn enough money to campaign as an independent candidate. She beat her opponent from the Bharatiya Janata Party (BJP) by over 4,500 votes. 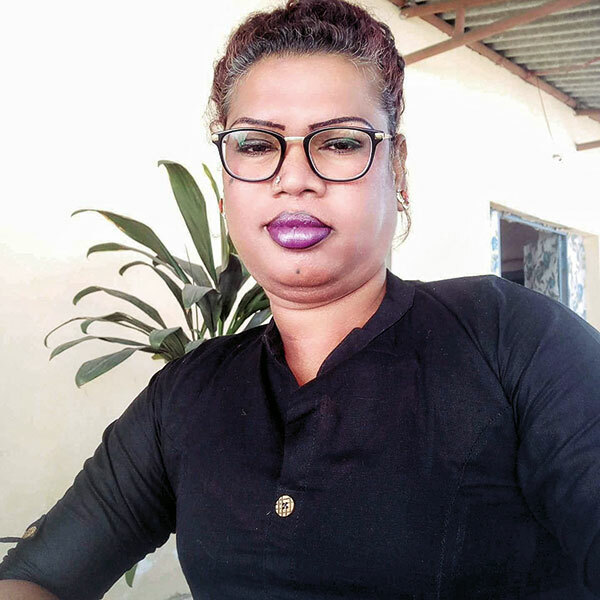 While hijras have previously contested local elections, Madhu’s victory is special because it comes just nine months after the landmark Supreme Court ruling that recognised transgender as a legal third gender. Crediting the win to the support and belief of those around her, she aims to bring about a change in sanitation, an issue she’s become acutely aware of from her time spent on the streets. A shift of power is underway, with transpersons beginning to attain legitimate representation and exercising the agency that they’ve always possessed. Such political visibility will open up more occupational possibilities, unite the community and alleviate the socio-economic circumstances for transfolk from all backgrounds.